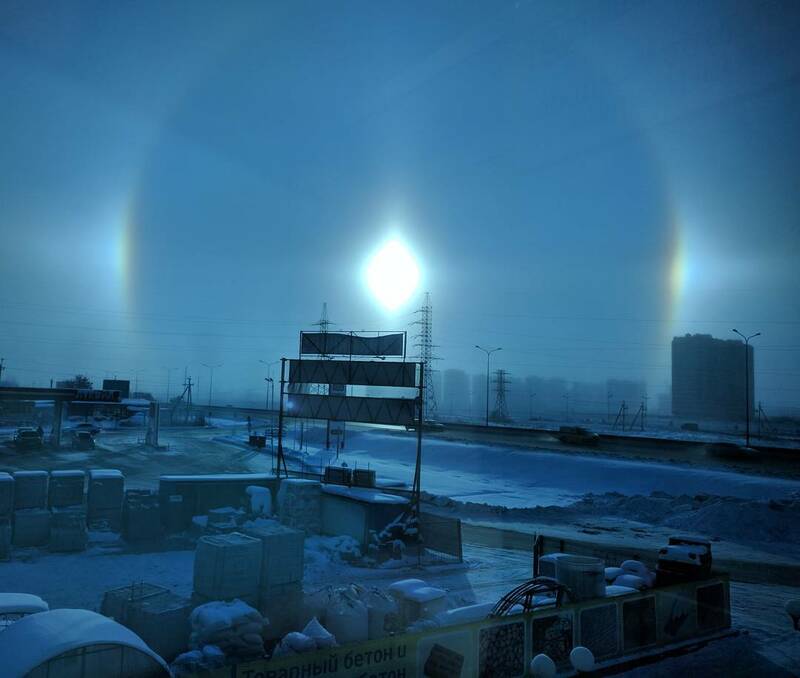 Russia is currently being hit by a polar vortex bringing in cold, snow, freezing temperatures… And amazing halo phenomena. 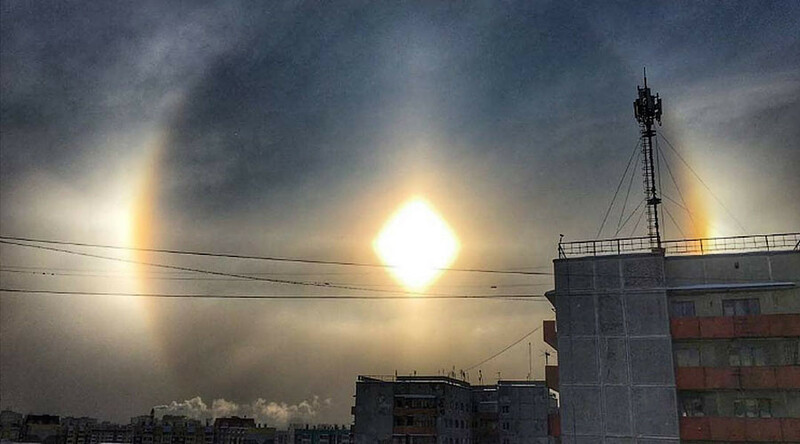 Look at these pictures of the mysterious three sun phenomenon (sun dog) captured by residents of Murmansk, Tyumen, and Chelyabinsk simultaneously. These pictures of a shining circle around the sun and a pair of bright spots on either horizontal side on the Sun are just incredible. According to northern Russian tradition, these sightings are believed to bring colder weather. And it may be real for the next days. 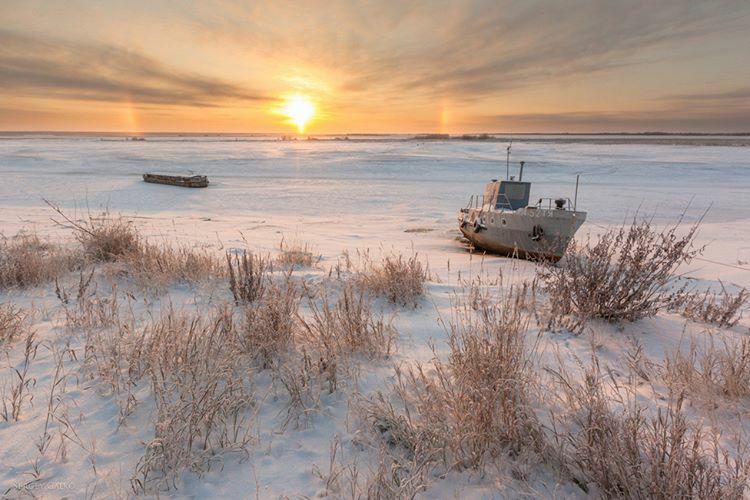 Although rare, the phenomenon graces Russia’s north with its presence fairly regularly. 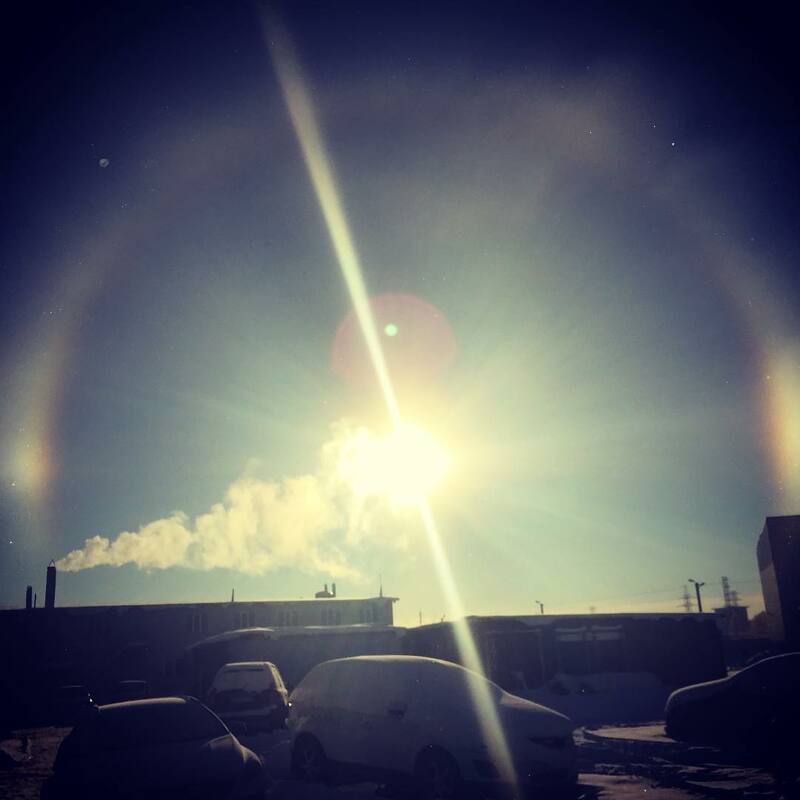 Sundogs, parhelia, are an atmospheric phenomenon that consists of a pair of bright spots on either horizontal side on the Sun, often co-occurring with a luminous ring around the sun known as a 22° halo. Sun dogs are a member of a large family of halos, created by light interacting with ice crystals high in the cirrus clouds. Halos can have many forms, ranging from colored or white rings to arcs and spots in the sky. 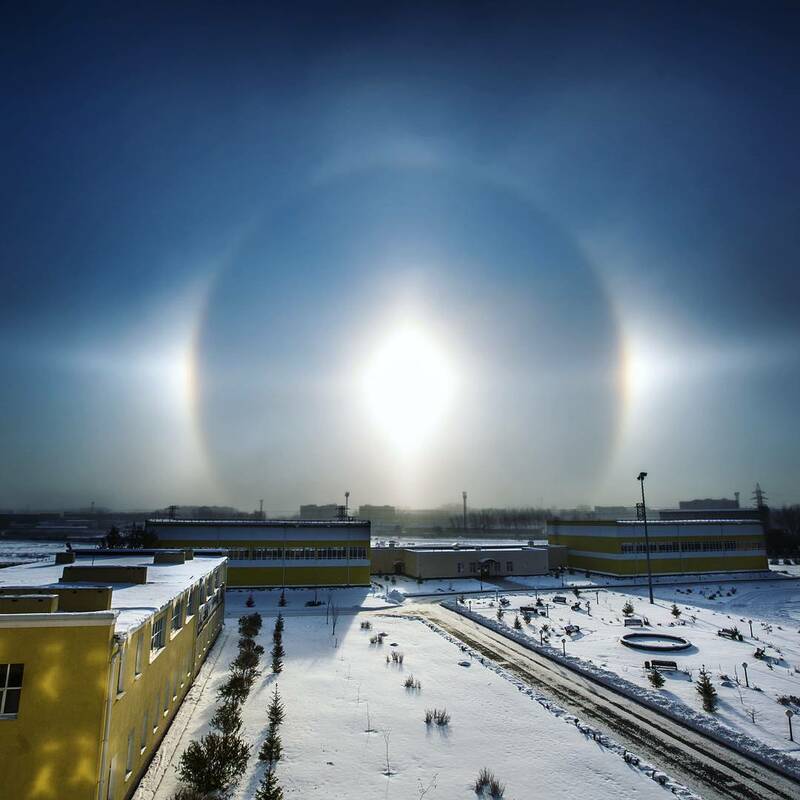 Circular halos, light pillars, and the above-mentioned sundogs are among the better-known forms of the phenomenon.